Excerpted from Ancient Aliens ™ The Coloring Book From The Producers of Ancient Aliens®, reprinted with permission by HarperElixir/HarperCollins. Copyright 2016. See this full image below. The History channel show that launched a thousand memes, Ancient Aliens, is coming soon to a bookshelf near you. Getting simultaneous November 15 releases are an official companion book as well as an adult coloring book. 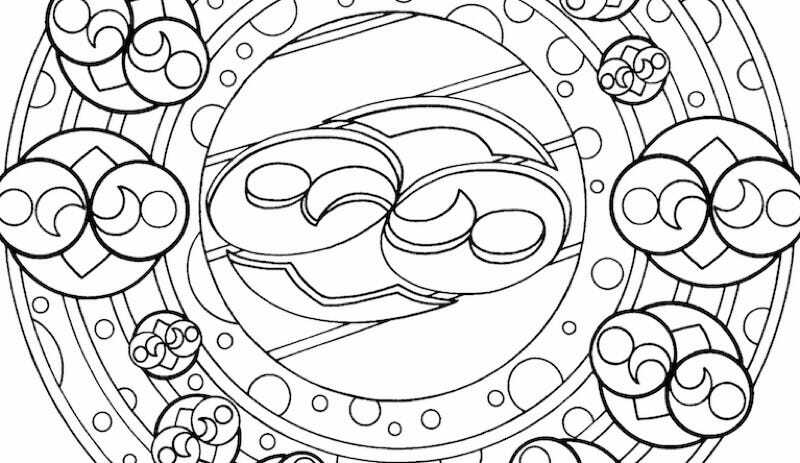 We’ve got an advanced look at three of the outlines, drawn by artist Kathleen Edwards. Excerpted from Ancient Aliens ™ The Coloring Book From The Producers of Ancient Aliens®, reprinted with permission by HarperElixir/HarperCollins. Copyright 2016. Introducing viewers to mysterious ancient relics and wondrous archeological sites, the show explores the fascinating unanswered questions about the origins of our civilizations and the possibility of extraterrestrial influence on our cultures and development. The perfect accompaniment to Ancient Aliens®: The Official Companion Book, this authorized coloring book includes intricately detailed illustrations of more than three dozen iconic monuments and objects tied to ancient astronaut theory—from the Great Pyramid of Giza to Mayan artifacts eerily similar to modern astronauts. Whether or not you believe, it’s still intriguing stuff—even if the mystery of Giorgio A. Tsoukalos’ hair will never be solved.